Why Are Rain Sounds Relaxing? Why Are Rain Sounds Relaxing? Home › benefits › Why Are Rain Sounds Relaxing? Have you ever wondered why are rain sounds so relaxing? Exactly what is it about the sound of raindrops that makes us fall asleep so much easier and faster? Ambient Mixer takes a look at this question and examines it thoroughly in the following article. 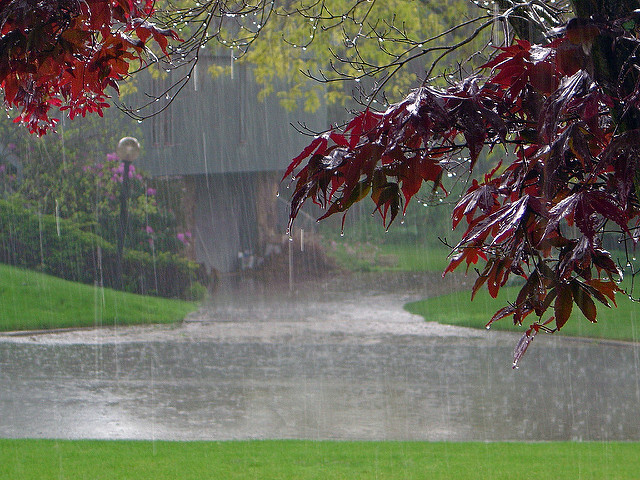 People have been using rain sounds to help them fall asleep from the beginning of time. This is because we all love the sound of rain as it helps us to relax and fall asleep faster. In addition, it is also very hard for most of us to be able to wake up whenever it is raining outside. This is even harder in the instances where the weather is a bit colder and we tend to want to continue snuggling in bed while it rains outside. There are also a lot of popular searches on search engines titled “I love the sound of rain on a tin roof,” or “I love the sound of rain at night.” As a matter of fact, searches for rain related topics are some of the most popular when it comes to those looking for sleep aids. But Why Do We Love The Rain Sounds? The question of why we love the sound of rain has been asked many times. One of the reasons as to why we love the rain sounds, can be linked to our need to mask annoying noises at night. Since ‘white noise’ is one of the best ways to help conceal other racket which often impede us from sleeping, the rain sounds are music to our ears. For those that live in the city, the nights can be full of sounds which tend to keep us awake. The rain usually covers all other noises and allows us to concentrate on the monotone rain sounds instead. As our brains and minds often think of many things while we are trying to sleep, focusing on these thoughts can keep us from being able to slumber. On the other hand, the white-noise effect from the rain allow our minds to fixate our thoughts on the rain sound, instead of anything else. The end results are people winding up relaxing easier and thus falling asleep faster. Some people have suggested that another reason why we love the sounds of rain, is due to the womb element. From the moment of conception, we are all in a womb surrounded by water. The sound of rain, may somehow subconsciously, act as a soothing component. Another reason can be connected to sounds actually operating on waves frequencies. These periodic vibrations, whose frequency is audible to the average human, can inherently cause or minds to relax. They also help us release stress This helps explain why our brains tend to become distracted and entertained by the sounds of raindrops falling. Perhaps there are other reasons why we love those beautiful sounds that come from the rain. People often tend to also associate falling rain with romance. There are numerous songs about ‘making love in the rain” or something similar. The connection between romance and rain can also be a reason to make people love the sound of constant falling raindrops. Regardless to whatever reason or reasons why people love rain sounds, you don’t even have to wait for it to rain anymore. With cellular phones and tablets so popular, the availability of applications which simulate the rain, are many. Apps that produce ‘white noise’ or relaxing sounds, have replaced most machines sold for that purpose. Still, instances when there are violent thunderstorms or really heavy rain, can make others uncomfortable and afraid. In the end though, nothing beats the sound of rain after a hard’s day at work or at home. So check out our Ambient-Mixer.com mobile app and relax to the sounds of some falling rain tonight.